USPS will email you scans of your mail the day before. What does it say? What does it say? The U.S. Postal Service is rolling out a new service that emails you scans of the mail you’ll be getting in your mailbox each day. The USPS has been testing the service, Informed Delivery, in some zip codes in Northern Virginia since 2014, and it will reach the New York City metro area, plus select areas of Connecticut, beginning this fall. USPS says expansion to other areas is being considered for 2016. 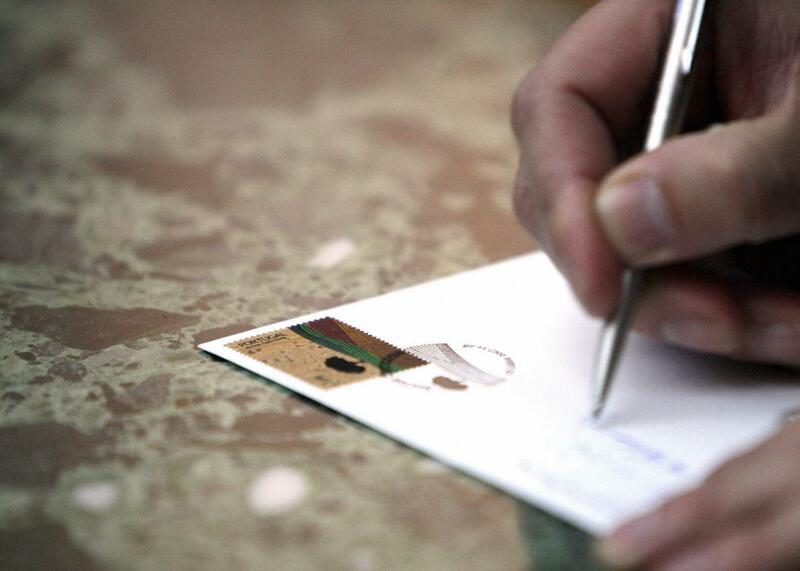 For now, the Postal Service will only send you scans of letter-sized envelopes. Once you sign up, USPS will email you a notification before 11 a.m. daily, Monday through Saturday, containing grayscale images of just the front of your envelopes for up to 10 pieces of mail. The idea is that you can get a preview of what you can expect to come home to at the end of the day, in case you’re waiting on edge for some crucially important piece of mail. For now, the service won’t be available to businesses, and it won’t work for packages—USPS says customers should rely on its tracking and mail hold services instead for those types of mail. The agency also said it’s considering enabling the feature for flat pieces of mail, such as catalogs or magazines, in the future. USPS actually already photographs every letter and package mailed in the United States—a practice it started after anthrax attacks in late 2001 killed five people, including two postal workers. So this new notifications system may not necessarily add a whole bunch of extra work to the agency’s current processes. The question is how much usefulness this adds to simply checking your mailbox when you get home. The Postal Service’s own track record when it comes to attempts to be technologically forward is a bit of a mixed bag—the current version of its iOS mobile app, for instance, has a sorry 1.5-star rating in Apple’s App Store. Still, while some postal startups hoping to stick it to the mailman don’t always stick around, USPS has other formidable Silicon Valley competitors in the business of smoothing over mail and shipping logistics, not to mention FedEx and UPS. It needs to stay competitive. When it comes to disrupting the post office, maybe the best hope is for the agency to improve itself.